It seems that Hot Toys has brought the DX line back! Their last release was the DX14, Jack Nicholson’s Mime Joker. That seems like an eternity ago! Today we are seeing the newest addition to the line. The Hot Toys DX15 Captain Jack Sparrow Figure. 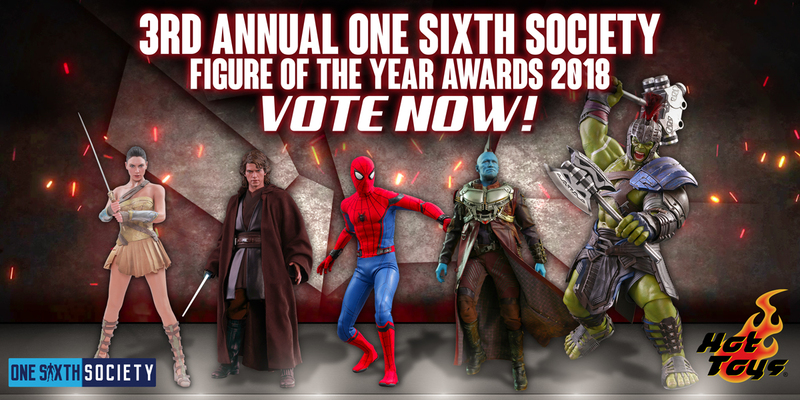 With the upcoming film being released soon, it is no surprise that Hot Toys is revisiting one of their most popular icons. 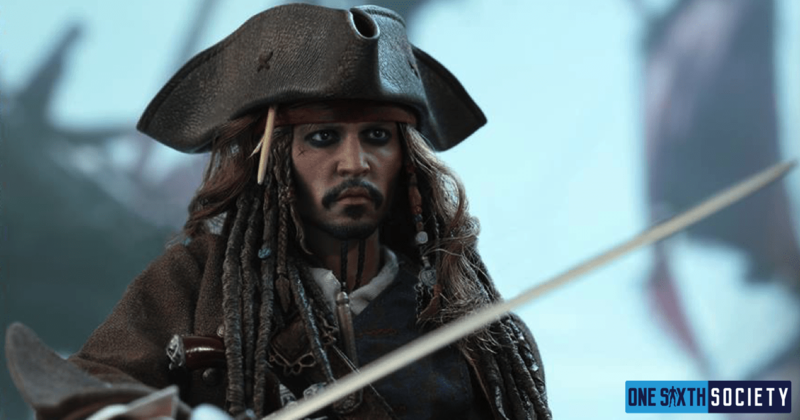 The Hot Toys DX06 figure was also a figure of Jack Sparrow. They also released the MMS42. 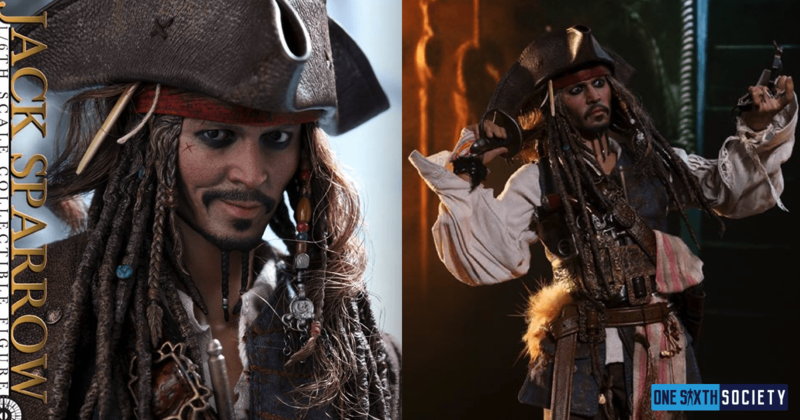 It’s obvious this is not the first time Hot Toys has done a Jack Sparrow figure and might not be the last. 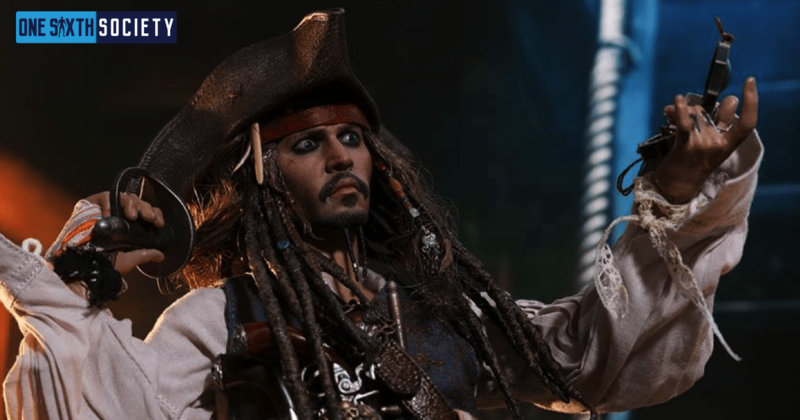 The Hot Toys DX06 Jack Sparrow Figure has been highly sought after in the secondhand market. I’ve even seen some sell for close to $600 on eBay. This new version of the character is sure to be a success for those who were never able to get their hands on a DX06. 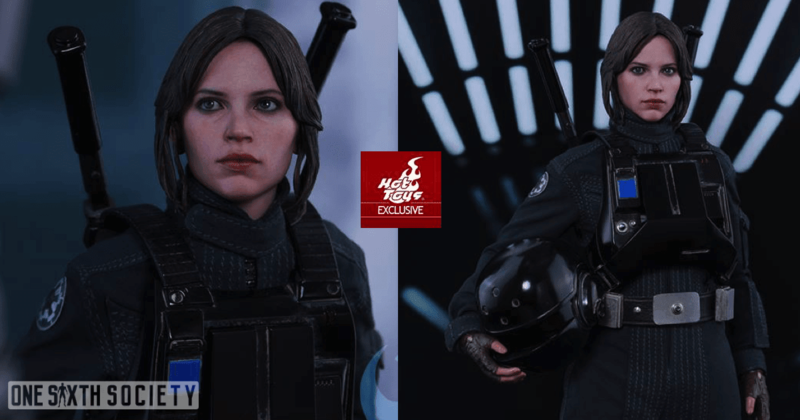 Here is every little detail we could gather about the newly announced Hot Toys DX15. Yo Ho Yo Ho a Hot Toys life for me! It would be impossible to not draw comparisons between this new release and the DX06 version of Captain Jack Sparrow. There are a lot of clear similarities. Beginning at the top, the DX15 will be including two interchangeable faces with the PERS technology in place. One of the faces is more neutral, while the other is a smirk, much like the DX06 release. Interestingly, the DX15 head features rooted hair in spots, adding a new level of realism to the sculpt. Onto the outfit, Jack’s costume is similar to the older version albeit with a few changes. He has his layered outfit consisting of his shirt, vest, belts, and coat. Everything looks pretty close to the old release, although the coat appears to be slightly different. His outfit is rounded out by his trademark hat and boots. The accessories again share some clear similarities, although with a few new interesting additions. Jack Sparrow now not only has a sword, but also a dagger. He comes with two flintlock pistols, as well as a telescope, compass, and rum bottle. 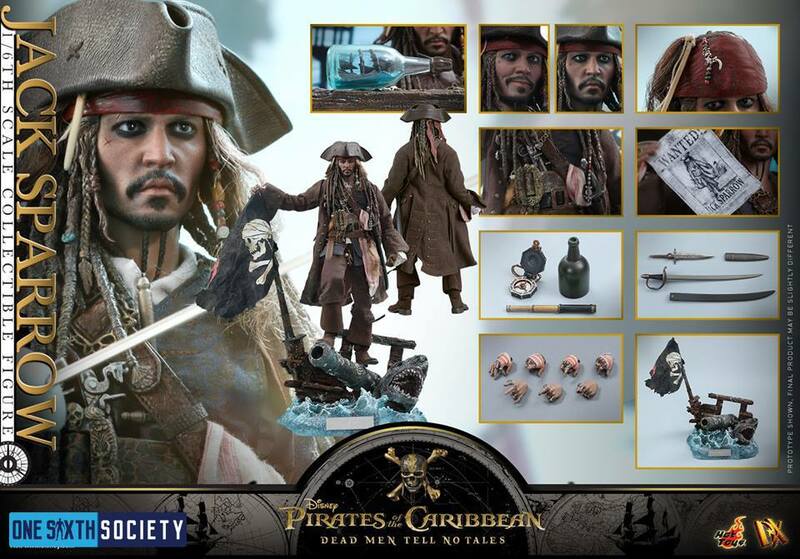 The Black Pearl in a bottle makes a reappearance, and he also comes with a wanted poster that has is face on it. The biggest accessory however is his diorama stand. The front of a ship sits in translucent blue water alongside a dead shark. From the promotional photos, this stand really allows for some exciting and dynamic poses. Disney and Hot Toys have been on fire lately, with their announcement of Belle and now Captain Jack. Captain Jack Sparrow is a classic character brought to life by Johnny Depp’s performances. So much so that he is instantly recognizable. 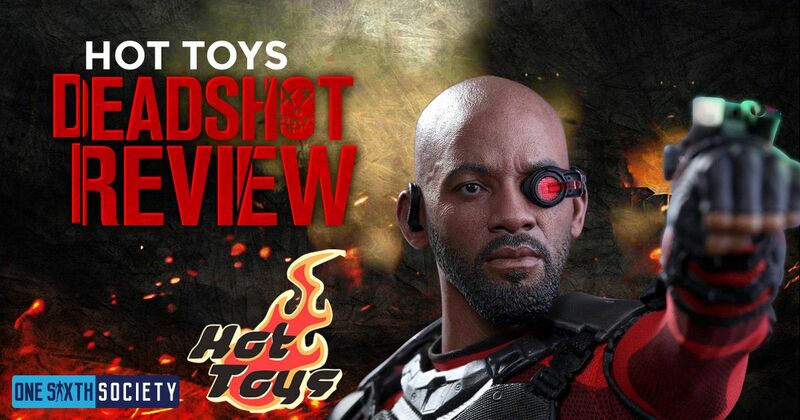 If someone is a Disney fan, a Pirates of the Caribbean fan, or even just a fan of memorable film characters the Hot Toys DX15 seems like a must buy. Considering how sought after the DX06 was (and still is), if you missed out initially you will certainly not want to have that happen again. Who is Hot Toys Founder Howard Chan? I’ve been fighting off the urge to buy a DX06 for more than a year. It’s nice to have a new option but the price tag for a new DX in today’s market is scary to say the least. Can you guys post some pics of the DX06 faces in approximately the same positions as the DX15 promo photos?